1.1 By submitting your application you are agreeing to register for a Great Run Local and to abide by these conditions of entry. 1.2 Participants who turn up to the run without their personal Great Run Local NFC timing chip are not insured and will only receive a time as "unknown runner". 1.3 You will be provided with a personal GRL timing chip on completion of registration. Please wear your own GRL timing chip. 1.4 You are responsible for the safekeeping of your GRL timing chip. Should a replacement be required you must log into your personal GRL account to purchase your replacement GRL timing chip. 1.5 Entries from blind or visually impaired individuals are welcome, however all such participants must be accompanied by a supporting runner. 2.1 At all times during the run you must adhere to all instructions given by Great Run Local (the Organisers) of Run Local Limited. 2.2 It is your responsibility to ensure that you have the correct equipment, footwear and clothing, taking the weather conditions into account. 2.3 You are only permitted to run with your pets or other animals if they are kept on a short lead. It is up to the discretion of each individual GRL Event Coordinator to determine how many pets are permitted per runner. 2.4 It is your responsibility that you are sufficiently fit and healthy to participate in the runs unaided. If you are in any doubt we recommend that you seek medical advice beforehand. 2.5 Your participation is personal to you. You are prohibited from swapping or allowing any other participant to wear your GRL timing chip. 3.1 You agree that your personal information can be stored and used by the Organisers and their partners in connection with the organisation, staging and administration of runs. 3.2 You agree that your personal information may be anonymised and the anonymised data may be used by the Organisers and their partners in connection with the compilation of statistical information and to improve health and safety procedures at future events. 3.4.3 delivery of promotional and marketing material of similar events or other community based activities organised by our partners, (together the "marketing information"). If you object to such, please see condition 3.6. 3.5.1 Used or reproduced in whole or in part in any form except for the purposes outlined in these conditions. 3.5.2 disclosed to any person not authorised by you to receive it; or. 3.5.3 altered, deleted, added to or otherwise interfered with (except where expressly permitted by these conditions). 4.1 The Organisers may cancel the run if circumstances arise beyond our reasonable control. In such circumstances we will endeavour to communicate to you in advance. 4.2 In the event of a cancellation the Organisers will have no responsibility for any costs incurred as a result of cancellation. 5.1 Photographs may be taken which capture your participation in the run. 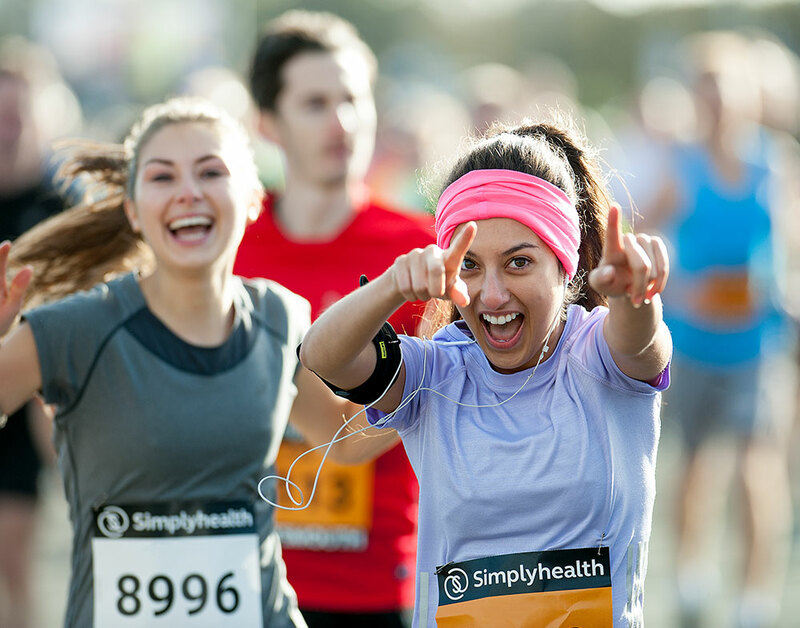 You agree to the publication of photographs and broadcasts of your image which accurately depict your participation in the run. 6.1 If you have not exercised before or for some time, you should consult your doctor before taking part in a run. 6.2 You must provide an emergency contact name/emergency contact number on registration. 7.2 Nothing in this Agreement shall affect the Organisers’ liability for death or personal injury, fraud, or any other liability to the extent it cannot be excluded or limited by law. 8.1 The Agreement shall be governed by English law, and the parties submit to the exclusive jurisdiction of the English courts. 8.2 If any provision of the Agreement is invalid or unenforceable, in whole or in part, the validity of the remainder shall not be affected. 8.3 The Agreement does not create, confer or purport to confer any benefit or right enforceable by any person not party to it. 8.4 Participant must inform update their profile with any changes to personal information. 9.1 This product is supplied by Great Run Local Ltd whose registered office is at Newcastle House, Albany Court, Monarch Road, Newcastle-upon-Tyne, NE4 7YB. 9.3 When you place an order on our website we shall receive a purchase of sale number. Please print a copy of this for your records. • our inability to obtain authorisation of payment; or the identification of an error within the product information, including price or promotion. 9.5 If there are any problems with your order we shall contact you. We reserve the right to reject your order at any time. 9.6 If you have purchased a wristband, there is the option to receive a complimentary result text message. As this is only complementary, we have the right to end the text messaging service at any point. 9.7 All merchandise orders will be sent and received with 28 days thereafter. Subject to availability. Should you not receive your GRL wristband within these days please email info@greatrunlocal.org. 9.8 If we send you the wrong product or it is faulty, damaged, of unsatisfactory quality or unfit for purpose, we will, at our discretion, either replace the product (subject to availability) or provide you with a refund. We will also refund the delivery charges you have paid to receive that product unless it was sent to you with other products which you are not returning. 9.9 All returns should be posted to us at the following address, Great Run Local Ltd, Newcastle House, Albany Court, Newcastle, NE4 7YB. Please remember to ask the Post Office for a proof of posting certificate and retain it for your reference. Without this we cannot refund any money if we do not receive the returned product. 9.10 In addition to our returns policy, under the Distance Selling Regulations you have seven working days (beginning the day after your order is accepted) to cancel your order. Order cancellations must be made in writing to us quoting your order number. In this case, we will provide a full refund but you must return the cancelled product to us. 9.11 Your statutory rights are not affected by our returns policy. 9.14 Prices are subject to change without notice. Prices are inclusive of VAT (where applicable). 9.15 Products are subject to availability. As there is a delay between the time when the order is placed and the time when the order is accepted, the stock position relating to particular products may change. If a product you have ordered becomes out of stock before we accept the order we shall notify you as soon as possible and you will not be charged for the out of stock product.